If the guaranteed no. 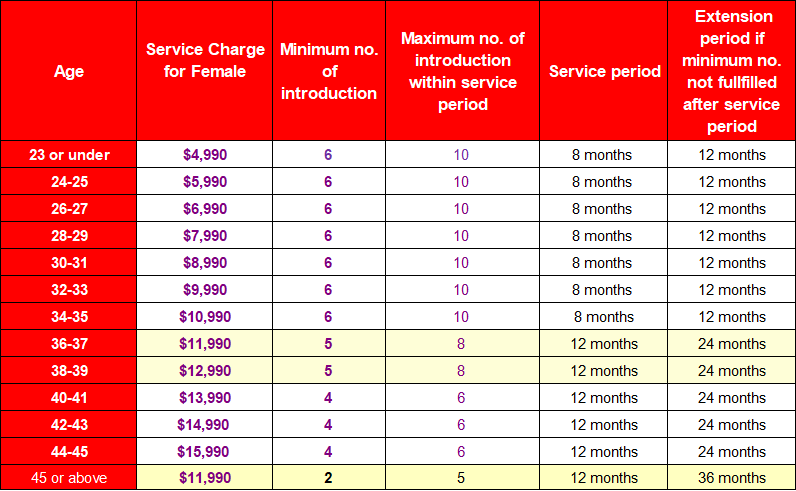 cannot be achieved within the service period, the clients can extend the service period as shown in the following table. Only one extension is allowed. 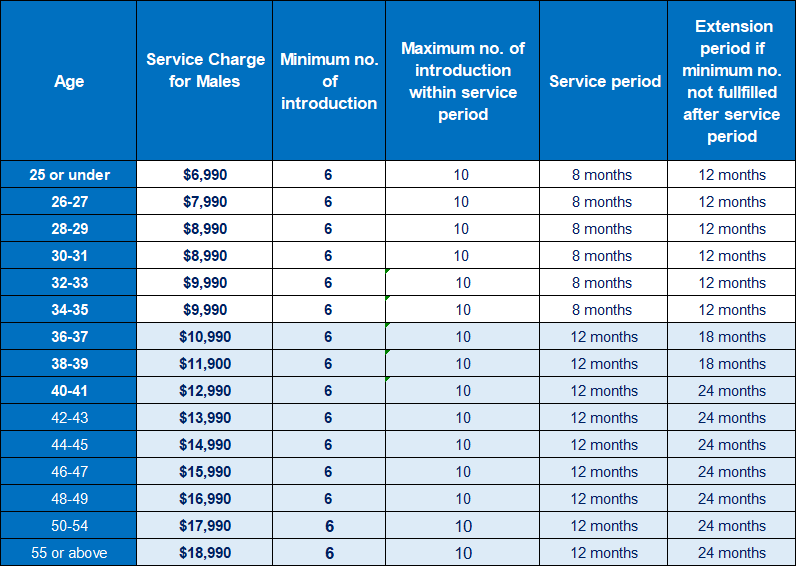 Service charge is non-refunable. The love of your life are waiting for you and they’re missing one thing: You! They need you to come and ignite the “Sparks of Love” that will allow the festivities to begin. 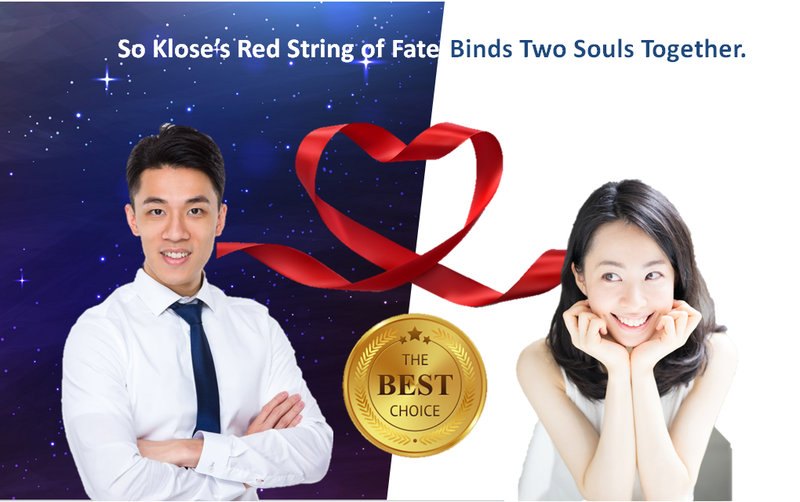 Hurry up and enjoy this promotion plan to find your Ms Right or Mr Right in 2019! 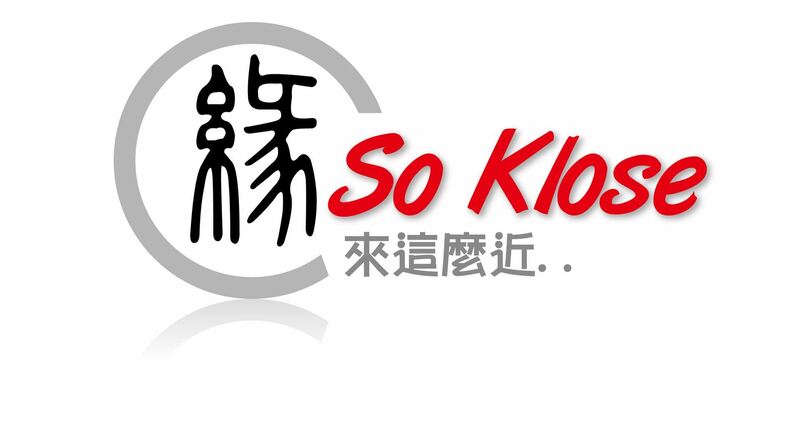 Note: Discount offer cannot not used in conjunction with other discount and other special offers.